The Gamma Knife Brain Radiosurgery Department is the only center in Greece to use the advanced Gamma Knife Perfexion system. 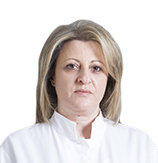 The Gamma Knife Brain Radiosurgery Department is unique in Greece. 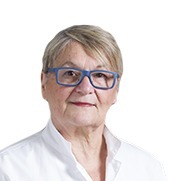 It started operating in HYGEIA Hospital in February 2004 and in cooperation with HYGEIA’s Radiation Oncology Center, constitute a center of excellence for Elekta, the company that developed the Leksell Gamma Knife. It has conducted internationally innovative studies on radiophysics and the treatment of malignant brain tumors. It also successfully hosted the 15th Leksell Gamma Knife Society Meeting in 2010. 2014 marked 10 years since the first Gamma Knife procedure was performed on a patient in Greece, at HYGEIA Hospital. 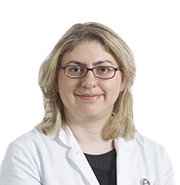 In these 10 years, more than 2,000 treatments for brain, head or neck conditions have been carried out by HYGEIA Hospital’s Gamma Knife Brain Radiosurgery Department, with an over 95% success rate for most diagnoses. Gamma-Knife radiosurgery is considered the most significant technical innovation in neurosurgery in the last 20 years. It allows approximately 1 million patients worldwide to adequately control their disease, without undergoing the hassles and risks of an open surgical procedure. Neurosurgeons, radiotherapists-oncologists and radiophysicists contribute their expertise to create a treatment program tailored to the needs of each patient. 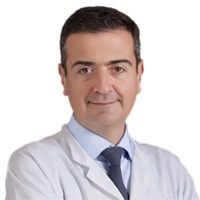 The continuous monitoring and evaluation of patients who have undergone treatment with Gamma Knife confirmed a success rate of over 95% for most benign tumors and a significant improvement in the most aggressive cases. 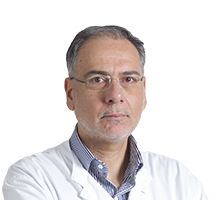 This has rendered Gamma Knife radiosurgery the most suitable treatment method, replacing conventional surgery or other therapeutic interventions that have failed. It is a computer-operated automated radiosurgery system which destroys three-dimensional targets in much shorter times compared to other technologies. Its expanded treatment volume enables increased accessibility in the cranial region. It is specially designed for the neck. It offers a dynamic treatment planning system with the use of Leksell GammaPlan® PFX. It provides radiation shielding that is up to 100 times better than alternative technologies. It is 10 times more accurate and 100 times safer than other similar techniques. This system creates significant opportunities for treating lesions located throughout the entire brain in one single session, while at the same time ensuring total comfort for the patient. It treats lesions located deep in the brain and is designed to treat tumors located in the skull base, head and neck with a success rate of over 95% for most diagnoses. The system offers physicians a fully automated, single push-button approach that translates into dramatic time saving. The cutting-edge design radically expands the treatment reach to cover a wider range of anatomical structures, including the neck. 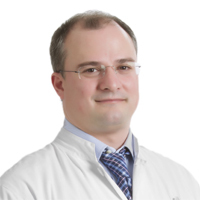 Leksell Gamma Knife Perfexion offers protocol reproducibility with full backward compatibility to existing Gamma Knife surgery protocols. That means building on the treatment experience of over 500,000 patients and 2,500 peer-reviewed papers, which offers a significant advantage over its competitors. With Leksell Gamma Knife Perfexion, the multiple helmets have been replaced with a single robotic system with three collimator sizes. Because the collimator size automatically changes, according to the treatment plan, treatment times are radically reduced. Every feature of Leksell Gamma Knife Perfexion reflects patient and staff safety and comfort. The system provides radiation shielding that is up to 100 times better than alternative technologies. Room radiation levels are low enough to allow for a window into the treatment room and the system can be accommodated within a normal-sized room. The new Extend head fixation technique allows the performance of radiosurgery without the use of immobilization clamps. It is also useful for treating the area of the neck and the cervical vertebrae. Instead of using a metallic frame for immobilizing the head, this technique keeps the skull immobile with the use of a mouthpiece that is fitted to the teeth. Naturally, it is completely painless. The mouthpiece is removed after imaging or treatment, and allows for planning and scheduling treatments on different days, if deemed necessary. However, it cannot be implemented for all ailments. For example, the treatment of disorders close to or inside the optical system still requires the use of a frame. The new Extend head fixation technique allows the performance of radiosurgery without the use of stereotactic head immobilization frames or radiotherapy masks. This new system is one of the first in Europe to use a dental cast (impression) of the maxillary teeth, attached by vacuum, ensuring the necessary fixation of the patient’s head. During the recent treatment of a patient using this new method, he declared that it was the best experience acquired so far, since in previous treatments, he had always felt a weight on his head, which was absent this time. 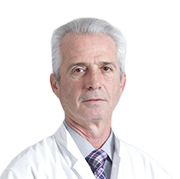 Through the use of computers, which provide the possibility of a three-dimensional treatment plan, and based on the imaging tests (MRIs, CTs and angiographies) and the high degree of patient immobilization, which is achieved with the use of a stereotactic frame (fixation of the head with the use of local anesthetic), the treatment minimizes the radiation from spreading to the healthy surrounding brain tissue. The Gamma Knife “blades” are gamma rays, which are programmed to attack the tumor only when they cross each other. However, independently, the rays cross the skull and the surrounding tissue leaving them undamaged. It may treat defects located deep inside the brain where, otherwise, there would be considerable risk from an open surgery. During the procedure, more than 200 radiation beams from cobalt-60 sources converge with high accuracy on the target. Each individual beam has low intensity and, therefore, does not affect the tissue through which it passes on its way to the target. The beams converge in an isocentre where the cumulative radiation intensity becomes extremely high. By moving the patient’s head in relation to the beams’ isocenter, the radiation dose can be optimized in relation to the shape and size of the target. The extreme accuracy of the Leksell Gamma Knife makes it possible to administer high doses of radiation to a target in a single session with minimal risk of damaging healthy tissue. What does Gamma Knife treat? Gamma Knife can be used to treat a variety of conditions. It is more often used on tumors, cancerous or benign. It offers effective treatment in benign tumors, such as meningiomas and acoustic neuromas, as well as metastatic malignant tumors. Doctors typically use Gamma Knife to treat tumors that are smaller than 4cm in size. 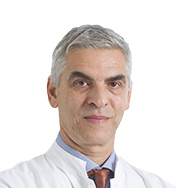 With the new Extend system, it is now possible to also treat larger tumors in Greece. Gamma Knife can stop tumors from growing in 90-95% of all cases. It also causes tumors to shrink in the majority of cases. Shrinkage may last anywhere from a week to a year, depending on how rapidly the tumor cells divide. Gamma Knife can also be used in treating disorders such as arteriovenous malformations (AVMs), Parkinson’s disease and trigeminal neuralgia. Patients with AVM have abnormal tangles of blood vessels in their brains that can bleed, causing seizures and hemorrhagic stroke. Trigeminal neuralgia is a condition that causes pain around the cranial nerves near the base of the brain. This pain tends to radiate out to pressure points in the face, and can be nearly unbearable for some patients. Gamma Knife treatment is a recognized method used on selected targets in the area of the brain. 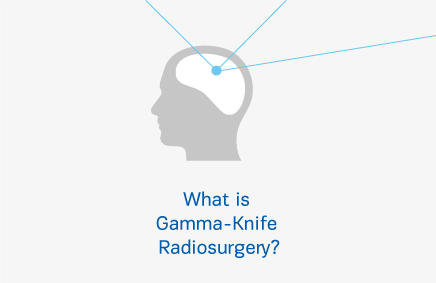 Gamma Knife is not a knife in the normal sense of the word. The doctor does not perform ANY incisions on the head and the procedure is painless. The treatment allows you to resume your daily activities very quickly. Gamma Knife radiosurgery is an unrivaled technique, whereby 196 extremely accurate photon beams are targeted towards the area of the brain that needs to be treated. This method is being used clinically since 1968. 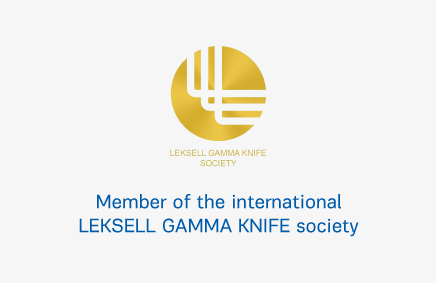 About 200 Leksell Gamma Knife systems operate globally, with more than 30,000 patients being treated with Gamma Knife every year. Diagnosis: Once patients have been diagnosed they may proceed to the HYGEIA Hospital’s Gamma Knife Brain Radiosurgery Department. They will be greeted by the Department’s doctors and nursing staff, who will talk with them and answer any questions before commencing treatment. Frame attachment: The Leksell® stereotactic frame is secured to the patient’s head throughout the entire procedure, ensuring maximum accuracy. Alternatively, the Extend fixation system may be used in a variety of cases, for procedures WITHOUT the use of the stereotactic frame. Imaging: The images (MRI, CT or digital angiography) taken immediately before the treatment determine the exact shape, size and location of the target. Treatment planning: The images are used to create a tailor-made treatment plan, so as to ensure an optimal radiation dose to the target. The treatment plan is then transferred to the Gamma Knife Perfexion system. Treatment: The targets are irradiated directly, according to the treatment plan. Throughout the procedure, the patient is monitored via an intercom system, while the treatment may be stopped if the patient wishes to take a break. The ideal treatment procedure for both physicians and patients is a single session that is swift and accurate. This is where radiosurgery using Gamma Knife Perfexion excels. Each step in the process works to the highest possible standard of convenience and enables superior clinical efficiency. The treatment is silent and totally painless. During the procedure, the patient is awake and is able to communicate with the doctor or the nursing staff through an audio and video connection. The medical team will be monitoring the procedure at all times, while the patient may return home immediately after the treatment. Patient comfort and their sense of security are paramount in every step. The entire process is simple and patients are usually ready to resume their normal activities by the following day. A series of quality assurance checks are performed daily or weekly, including a pinpoint accuracy test. No similar system has the same accuracy and the checks performed ensure that this accuracy (up to 0.1mm) never varies. Given that radiotherapy may cause tumors, many people are afraid that this may also happen after Gamma Knife treatment. 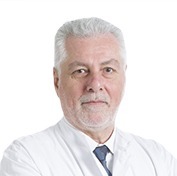 In the over half a million patients who have undergone Gamma Knife treatment in the last 20 years, no new tumors have developed in comparison to patients who were treated using alternative methods, so there is no need for concern.